WHAT DO YOU DO if you lose a hand or an arm? That was one of the critical-thinking exercises that children at July’s Eco Heroes Club engaged in. 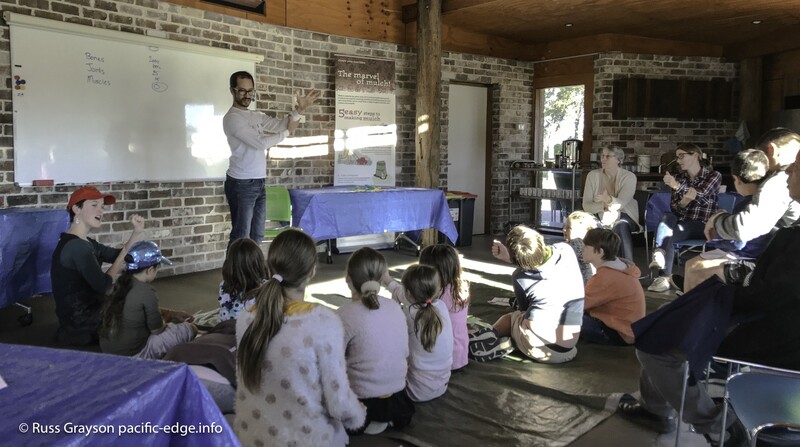 The Eco Heroes Club for 5–11 year-olds is a monthly event at Randwick Sustainability Hub. An initiative of Randwick Councils’s sustainability unit, the club is part of the community education program run by council sustainability educator, Fiona Campbell. Eco Heroes events are designed for fun and learning. They focus on providing children with an enjoyable afternoon of sustainability and science education. Julian Lee, science communicator with the BrainChild Academy. The theme of July’e event was The Bionic Hand. 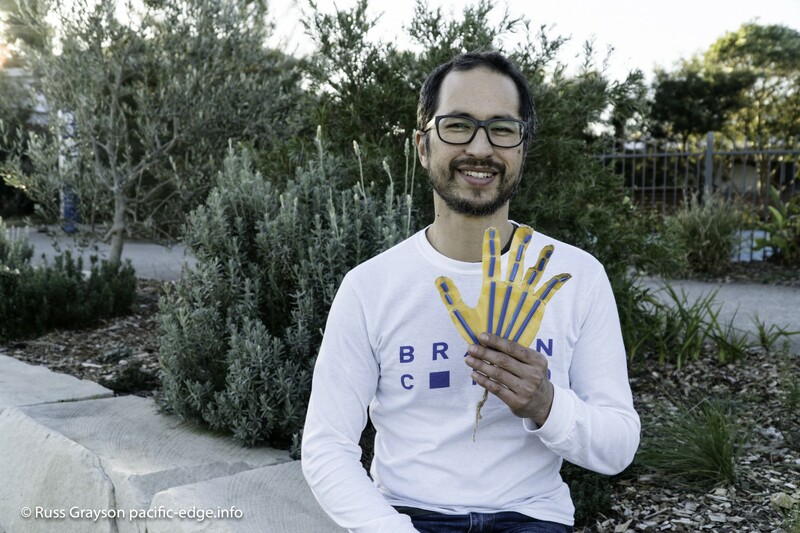 It was led by Julian Lee, who has a masters degree in science communication, a Permaculture Design Certificate and who started Sydney Food Connect, a multifarm community-supported-agriculture enterprise that provided city eaters with fresh food from Sydney region farmers. Assisting Julian was sustainability educator and primary teacher, Sierra Classen, who works part-time with the Sustainability Hub education program. The first activity was in critical thinking. Children went through four exercises to practice how they would feel things, point, cope with a broken arm or a case of arthritis. The purpose was to have them think about how people with missing arms or hands cope. The exercises generated a noisy buzz of excitement as the children went about them. The activity ended with a group discussion around the question: what would life be like without a hand? The final activity of the day was to make a bionic hand. Julian explained that robotic hands are sometimes made for people who lose the real thing. To do this, he explained in language understandable to the children, we first have to understand how the human hand works so that we can mimic that with a robotic hand. Using questions and answers with the whole group, Julian and Sierra went through the design and shape of the hand and how it functions. Not even the parents could answer the question of how many muscles there are in the fingers. Bones give the hand its structure. Joints, tendons and ligaments allow the bones of the hand to bend. Muscles move the hand and fingers. Nerves allow us to feel and experience touch. Skin covers these working parts. These were demonstrated one at a time. 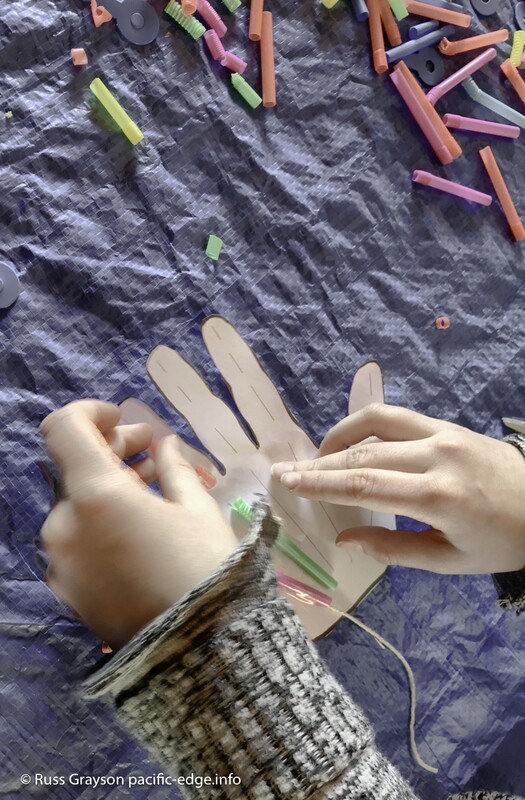 By the end of the activity the children had an understanding of the anatomy of the human hand. The next question: what materials would we use to make a robotic hand? Using the classroom’s movement sensor as an example, Julian took the thinking to what kinds of sensors and materials would go into a robotic hand. Surprising was one child who said that what they were doing was bioengineering. Now it was time to for a making activity: replicating a robotic hand with surgical gloves, paddlepop sticks and sticky tape. Parents helped, as they are asked to do at Eco Heroes Club activities. Hands made, it was snack time. Children are enthusiastic learners. The Eco Heroes Club exemplifies Bill Mollison’s permaculture principles of working with those who want to learn, and working where it counts. The bionic hand activity complemented other science-for-children sessions at the Eco Heroes Club. These include worm biology and plant propagation, an introduction to botany. Gameifying science and having fun are key processes Julian and Sierra use to introduce children to understanding their environment, whether that is the natural environment or the made environment of technology. The next Eco Heroes Club activity is with Junkyard Beats, making music and the instruments from junk and found materials. The Eco Heroes Club is a Randwick Sustainability Hub initiative. View interview with Julian Lees, BrainChild Academy. 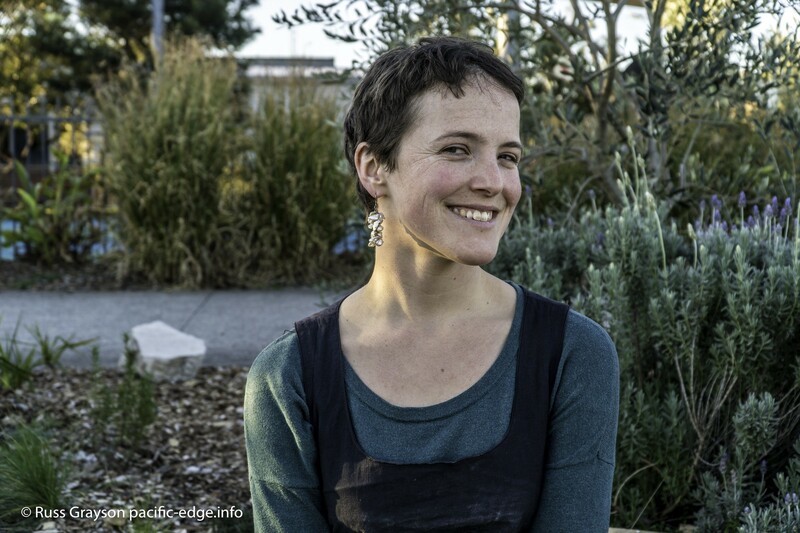 View interview with Sierra Classen, sustainability educator.